Long gone are the days when the average beer consumer could get by with the notion that somehow the true essence of any beer could be discerned via the all-revealing dichotomy of “domestic” or “import”. Alas, in order to meaningfully talk about beer nowadays, it is virtually impossible to do so without referring to and having a general awareness of the basic beer styles. And because beer, like mathematics, builds upon itself, if you missed the basic algebra of beer styles, you’re probably gonna run into some trouble when it comes to the present day calculus of beer. So let’s take it back to beer basics in an attempt to demystify the oft esoteric realm of modern craft beer. Ask the average craft beer fan to name their top five favorite styles of beer, and they might say something like IPAs, Porters, Belgians, Sours and maybe Wheat Beers. Ask that same question prior to 1977, and it’s doubtful anybody would have known what you’re talking about. Well, anybody except Michael Jackson. Fine, I’ll say it: No, not Michael Jackson the pop singer, Michael Jackson the beer guy from England— the apparent real-life inspiration for Michael Bolton’s character from the movie Office Space. Michael Jackson (the beer guy), flat out invented the term “beer styles” more or less as we understand it today when he first introduced the concept back in 1977 with his vastly influential book The World Guide to Beer. That’s right; the term “beer styles” is no older than Orlando Bloom and is just as made up as Legolas of the Woodland Realm. To be clear though, classifying and differentiating beer is not a new concept by any means. 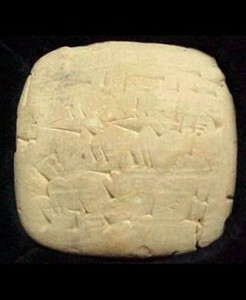 An ancient Sumerian tablet dating back to 2050 BC turned out to be a receipt for beer, documenting that the purchaser received a “best” ale, which suggests there were at least two “styles” of beer back then: “best” and “not the best”. Nevertheless, it is unlikely that at any point in history were beers more systematically and extensively classified as they are today, a trend which is most likely to continue until Armageddon, i.e. April 21st, 2053. 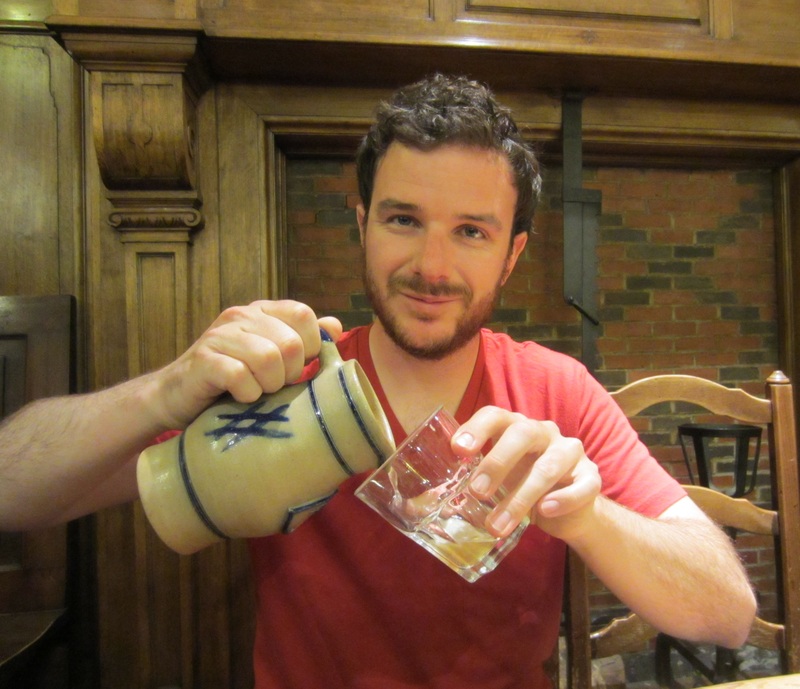 Not long after the release of Jackson’s seminal book, the BJCP (Beer Judge Certification Program) was created, an organization known for defining and judging world beer styles. 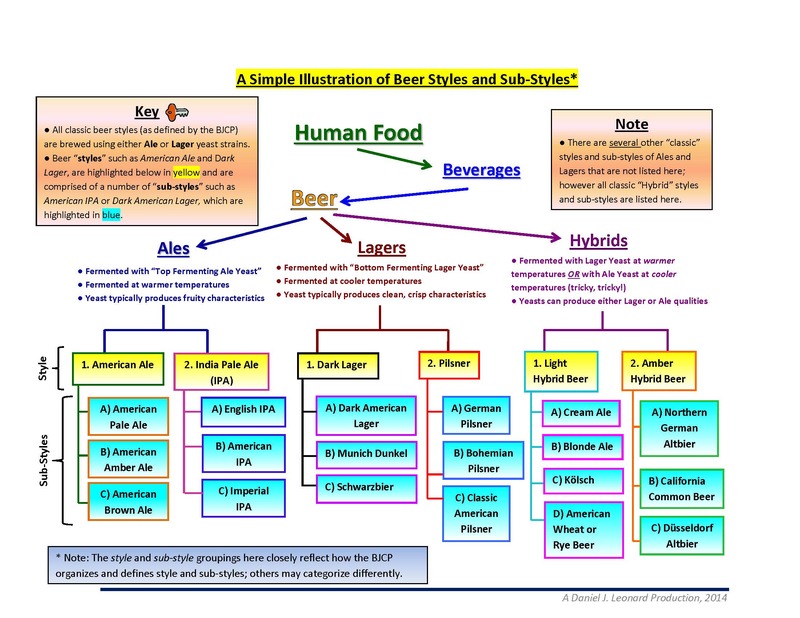 Beginning in 1985, the BJCP ran with the idea of beer styles (supplemented by Fred Eckhardt’s book The Essentials of Beer Style in 1989), and as of 2008, has “officially” recognized 23 classic styles of beer, and 80, yes 80, sub-styles which fall under the 23 classic styles. I say “officially” because as of the time of this writing, 80 is the number that the BJCP has acknowledged as significant enough to be deemed worthy of appearing on its list. The reality is, though, there are quite a few well established sub-styles of beer being brewed today which haven’t yet been canonized by the BJCP (just in case 80 wasn’t enough to keep track of). You probably noticed I’m throwing around the terms “style” and “sub-style” without having given much explanation as to what the difference is with respect to beer. To be sure, the use of this predominately BJCP nomenclature is purely conventional and is used as an organizational tool for the purpose of categorizing beer. For example, according to the BJCP Style Guide, India Pale Ale (IPA) is a “beer style”, and American IPA is a “sub-style” of IPA. In fact there are actually three sub-styles of beer which fall under the style of IPA: American, English and Imperial IPAs. Notice that these sub-styles don’t only refer to a specific country like the U.S. or England, but also to the qualitative nature of a beer as with the Imperial IPA which is basically a stronger version of an IPA (American or English) in alcohol content and usually in hop and malt character as well. To make a quick comparison, you might think of the Hot Dog as being a “style” of American Food, and Chicago, New York, and Chili Dogs as being “sub-styles” of the Hot Dog. Hungry yet? On the whole, the BJCP tends to take a mixed approach in defining beer styles by either country of origin like the “American Ale” style category which contains only beers originating from the U.S., or by common sensory characteristics shared by a group of beers such as “Sour Ale” which includes sour beers from multiple countries. True, this method of grouping beers may sound a bit inconsistent, but there is one simple little trick you can use to categorize almost every one of the 80 “classic” beer sub-styles that appear on the BJCP’s list. Even though 80 sounds like a pretty daunting number of beers to familiarize yourself with, there are basically only three main types of beer under which pretty much all of the 80 sub-styles fall: ale, lager or hybrid. For simplicity’s sake, ales and lagers are distinguished by the two different species of yeast used to ferment the beer: Saccharomyces cerevisiae (ale yeast) and Saccharomyces pastorianus (lager yeast). Generally, ale yeasts ferment at warmer temperatures producing beers that are often described as more flavorful and sometimes fruity (estery), whereas lager yeasts ferment at cooler temperatures commonly producing cleaner, crisper beers. And just when you think you’ve got it all figured out, we’ll pull the rug out. Like this blarticle? Well, thanks- you’re far too kind. Want to read more beer inspired thoughts? Come back any time, subscribe to our RSS feed or follow us on Twitter at twitter.com/beersyndicate. Below is a list that would have been a veritable goldmine to me when I first started brewing, so past-self, if you get this, you owe me… And you can start pay me/us back by investing in Apple stock, anything under $100 a share, and then sell when it gets to around $650— no need to get greedy. Then, not only could we brag about getting in on Apple before its historic run-up just like all the other dime-a-dozen fish story tellers of the modernized hipster Gordon Gekko variety, but we’ll also finally have the start-up capital we need to open our very own, well funded, state-of-the-art super brewery. But we’ll need some inspiration first… Got it. Book us a brewery tour of, say, Europe (Belgium first, please), where we can undertake extensive “research” into the finer points of beerology. Thanks past-self, you’re the best!